Preflight Parking safely and securely. The durham airport offers a daily and hourly parking lot and four park and ride lots, providing more than 17,000 parking spaces in total. Work continues to increase parking provision to meet passenger needs. A five-level parking deck, linked by pedestrian tunnels to terminals, with 2,700 parking spaces. Park and Ride RDU - The park and ride lots are served by courtesy airport shuttles which run every 15 minutes from 5:00 am to 1:00 am, or last flight. Taxis, buses, shuttles and train services are all available at the airport or in the surrounding area. Taxi points are located outside the baggage claim areas of the terminals, at the lower level, on the curbside. Around 20 companies are licensed to operate at RDU. RDU’s courtesy buses connect the airport’s four Park and Ride lots to Terminal A and Terminal C every 15 minutes. The service begins at 5:00 am and runs until the last flight arrives at around 1:00 am. Triangle Transit Authority (TTA) offers public van transportation connecting Raleigh, Durham, Chapel Hill and Cary with Research Triangle Park and the airport. Call the TTA at (919) 549 9999 for details. R & G Airport Shuttle, based at RDU, delivers passengers to area businesses and universities. The shuttle leaves every half-hour from the baggage claim areas. Numerous other shuttle and limousine services provide unscheduled services in the area. They are licensed but are not endorsed by the Airport Authority. The car rental firms listed below serve RDU. Rental counters are centralized not in the terminals but in an area a few hundred feet away. Agencies’ courtesy vans will pick up passengers every few minutes from a point outside each terminal near the baggage claim area. Parking your car at the airport can be an expensive proposition. On-site parking, in lots within walking distance of the terminal, can run $20-$30 per day, sometimes more. That might not seem like a lot, but if you multiple it by the number of days you will be gone, the price of parking can easily exceed the price of your airline ticket. Luckily there are plenty of parking options beyond the standard terminal-side lots. The general rule is that the farther a lot is from the airport, the cheaper it is to leave your car there. All lots have shuttle buses that run to the airport and almost all offer complimentary rides to the airport. However, not all run at the same rate and some do not offer 24 hour service. This means that you might find yourself saving money but waiting for a shuttle bus that only runs once an hour, or worse, will not run again until tomorrow morning. A little research can help you avoid this problem. Here are some money-saving options for parking your car before your flight. 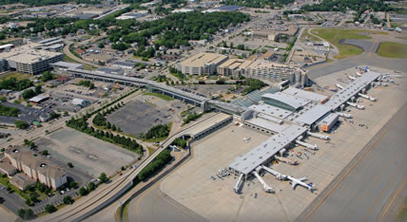 Most airports have on-site lots that are at the far corners of the airport. These are serviced by shuttles either run by the airport or by a third party. They are generally cheaper than parking in lots nearer to the terminal. However, they are more expensive than off-site lots run by private companies (not affiliated with the airport). Many drivers, however, are willing to pay a little more ($2 to $5 more per day, on average) for the convenience and superior security that come from actually leaving your automobile on airport grounds. Some airports have privately-owned parking lots just outside their gates. These are cheaper (usually) than on-site lots, but more expensive than parking lots that are further away. Park-and-rides normally have shuttle service but it pays to check and make sure how often service runs (anything more than 15 minutes between buses is suspect) and if it runs 24-hours per day, or at least at the times when you plan to be coming and going. The further away a parking lot is, the cheaper it tends to be. Lots over two miles away from the airport generally offer the cheapest rates. 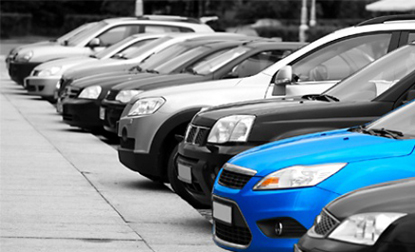 If you are looking for the most value, these remote parking facilities are the best option. However, as always, it pays to know the details of a lot’s operation before deciding to leave your car there. Ask how often shuttles run (15-30 minutes is the industry norm) and how long it takes, on average, to get from the lot to the terminal. If you are willing to spend a few more minutes in a shuttle bus, you can save anywhere from $5 to $25 per day on parking. Most cities have decent public transportation to and from the airport. Many even have express trains or buses that connect the terminals with the city’s downtown areas. If this service is available in your city, it may be worth considering as an alternative to car parks. It might not even be necessary to take public transportation all the way from the airport to your home. You can use transit to get closer to home and then take a short, cheap taxi ride to your front door. Because competition is tough (most airports have several car parking facilities vying for customers) it is easy to find promotions via third party sites and Google searches. Many parking lots (such as Park ‘n Fly) are national chains with locations in each major city. If you browse their central web site or search for coupons, you will undoubtedly come across some discount opportunities that can be used at any of their locations. Airport hotels often offer guests and the general public a place to park. This may be cheaper than parking in the airport. If you are a guest, this is a no-brainer because the hotel will offer free or greatly discounted rates. If you are not a guest, it may still be worth it. Generally, hotel shuttles ferry both guests and parkers to and from the terminals regularly. The obvious choice for those who want the cheapest parking deal is to choose the parking lot that is the farthest from the airport. However, those who put a premium on convenience can find a lot nearer to the terminals and search for coupons to save money on parking. Get best prices for your Charlotte Douglas International Airport: Parking Station. After getting the parking service at CLT Airport you will really appreciate the service. Moreover you will end up appreciating the value of your money that you may have used to pay for the services. 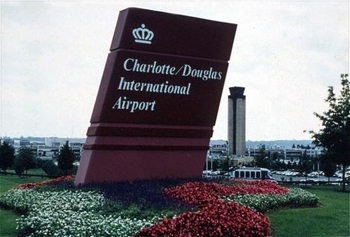 You may visit Charlotte Douglas International Airport: Parking Station personally or visit their website online. From their website you will get to know different services that they offer at the most affordable rate. In fact Charlotte Douglas International Airport: Parking Station has well organized structure where you will be able to book Charlotte airport parking service for your car for a specific period of time that you may like to have the services. This is a great benefit that you will enjoy in making use of Charlotte Douglas International Airport: Parking Station because you will be able to pay according to the period in which you will like your car to be parked . The following are benefits of getting your services from Charlotte airport parking company that will make you decide to get your parking services from Charlotte Douglas International Airport: Parking Station. In case you will like to book your parking space at charlotte airport parking company you will really achieve in getting professional service. The staffs at Charlotte Douglas International Airport: Parking Station have worked for many years hence they have gained a lot of experience in attending to different customers. The customer care at Charlotte Douglas International Airport: Parking Station have high level of professionalism where they will relate to you professionally. In case you will like to book online where you will like to get some clarification on some procedures in contacting Charlotte Douglas International Airport: Parking Station you will be attended with the urgency in which you will like. This is because the professionals at Charlotte Douglas International Airport: Parking Station know very well on the importance of their services and the need for your complains or answers to be attended to urgently. In getting your charlotte airport parking services from Charlotte Douglas International Airport: Parking Station you will be advantaged where you will be able to pay fair prices for your services .This is possible because Charlotte Douglas International Airport: Parking Station is highly reputed hence it will not like to spoil the reputation. Moreover because you can be able to compare the prices online Charlotte Douglas International Airport: Parking Station prices its services at the best rates for the customers to trust them in getting services from them. By the fact that you will be charged fairly for the services you will end up saving some money that you can put into different uses while travelling abroad in case you wanted to mark your car for you to take a flight at charlotte airport. In case you will like to be sure about the fairness of the services charged at Charlotte Douglas International Airport: Parking Station you can easily confirm through carrying out your own research by visiting different companies available at charlotte that offer similar services. It can be possible that you will like to travel to a certain destination in the world where each of you is driving his own car where you will like to park at the same place .In such a case making use of charlotte airport parking company will be the best option for you because you will be able to park in a single company .This is possible because Charlotte Douglas International Airport: Parking Station has a lot of parking space that can accommodate a lot of cars at a given time provided you make an effort to book your parking space in advance. There are times when you simply cannot avoid paying airport parking fees. If this is the case, it is vital to search for the cheapest options possible. Notably, there are both onsite and offsite PHL airport parking options that you can choose from. This means that you should research extensively in a bid to find the best deal possible. Note that you should ensure that you do not make any compromises on the security of your vehicle. Take time to do sufficient online research with the use of search engines like Google, Bing and Yahoo. Firstly, start by determining your specific parking requirements. You should make efforts to make early travel arrangements and go ahead and determine the number of hours that you will actually require to pay for your parking. By so doing, you shall be in a position of choosing the best PHL airport parking option. Keep in mind that is is not reasonable to make payments for long term parking when you need to park your car for an hour or two. Secondly, ensure that you research about the parking lots that are available and the rates charged. This will enable you to compare between offsite and onsite PHL airport parking. Usually, you can find offsite parking options strategically located around PHL airport and they usually charge varying rates. Both the onsite and offsite PHL airport parking options offer terminal shuttle services. Even if such arrangements are in place, it is essential to make prior confirmations on the same. It should also be noted that by using comparison sites, you shall be in a position to find cheap parking options that are suitable for your specific requirements. By doing this, you will make some savings. Usually, price comparison websites are very useful when considering price comparisons of varying parking operators. Take note that the prices fluctuate depending on the varying seasons of the year and according to how early you can be able to make your booking. Further to this, the closer your booking is to the flight, the higher the amount you will end up paying. For this reason, it is extremely vital to ensure that you make early travel arrangements. Usually, the summer season and school holiday are the most expensive and busiest times that you can travel. Therefore, you should ensure that you consider this as you look for cheap PHL airport parking. In general, the off site parking lots owned by smaller companies are usually less costly in comparison to the onsite airport parking facilities; although this does not necessarily have to be the case. Well, there are those who argue that why spend on airport parking when a friend or family could drop and pick you at the airport. However, there are times when they may be no one available to offer such services to you hence airport parking becomes inevitable. For this reason, do your homework early enough in a bid to get the cheapest parking options possible. The good news is that you can find all the information that you need right at the comfort of your home or office. Once you have determined your best parking option, then go ahead and make your reservations online. You will find different payments options that you can use to make payments for your onsite or offsite PHL airport parking. In a nutshell, sufficient research should be done if you want to get the cheapest airport parking option possible. The beauty about researching is that the information that you get will enable you to make an informed purchase decision. It is possible to find some updated information on issues such as rates and the services that you would expect to get from the parking facility. After making a decision on which parking option to choose, you can then make you reservations over the internet. Since the offsite parking facilities charge different rates, it is essential to do your research properly before making the ultimate decision. In traveling in case you will like to use Boston airport parking it is possible that you will have to use your car from your home to the airport. You may be considering the option of using public means but remember it will be more convenient for you to use your personal car. After traveling with your car to Boston airport an issue will present itself. This is the issue about the security of your car as well as where to park your car. For you to avoid those complications that is why Boston airport parking services are available. These are services where you can pay for your car to be kept for the period that you will be abroad. The fees you will be required to park your car are very affordable. This makes another great advantage for you in case you will like to park your car instead of using public means that may end up stressing you in case you will like to travel with your important luggage. There are several service providers when it comes to Boston airport parking. For you to achieve the best you need to look for services that are more appropriate for you. For the services to be appropriate for you, you need to look for the one that are offered at a price that you will easily afford. The location of the place where you are seeking the service is also an important factor for you to consider. Remember looking for a parking that is very close to the airport will be more convenient for you because you will only move a short distance before you access the airport. In booking your Boston airport parking services there are different methods you can use such as going to the airport for you to book or booking online. The following are benefits of booking your Boston airport parking reservation online. In booking online you will use the shortest time possible with your computer that is internet enabled for you to be able to book. This is unlike a case where you will be required to line up in long lines at the airport where the parking facilities are located for you to be able to book your place of partaking your car. This can really take a lot of your time in case the moment you arrive at the place offering the services there are many people who will like to get the services. Remember in case you had booked a flight it can end up flying without you because it works with a timetable. Instead of moving from your home to where the airport is located where you will end up burning the fuel in your car to and from in booking online you will let your car rest hence saving you on fuel cost while making the booking online. There are different types of parking that you may like to book. 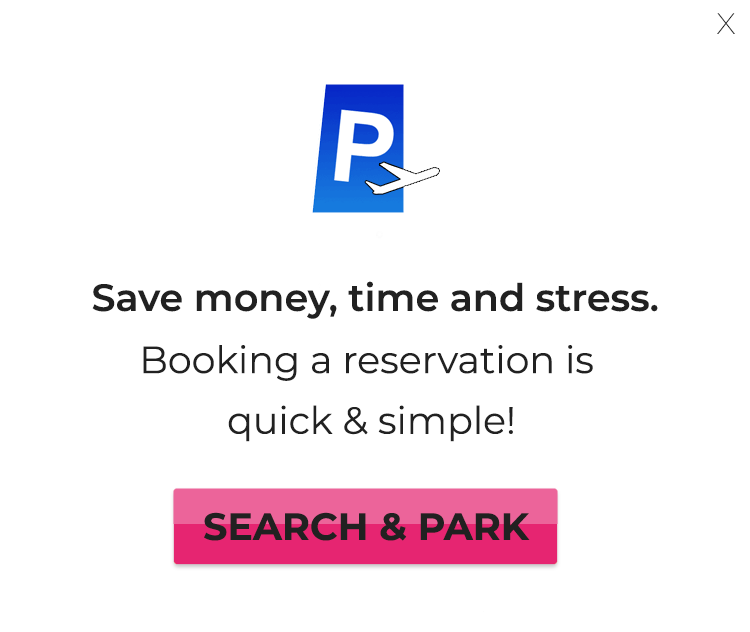 Instead of going to the parking site for you to be attended at the offices where you may end up finding out that the parking spaces available that you preferred parking are over ,in booking online you will only see the available parking before you car book. This will have avoided you the burden of travelling from your home to the parking site only to be embarrassed when you will be told that the spaces available have been booked by other clients .In booking online you will only wait in your home for a specific parking to be available before you make your order conveniently. In booking online you will be able to compare the prices in different parking available for you to choose the one that is the most economical for you. This is unlike a case where you will be required to travel from one parking to another for you to ask about their prices. 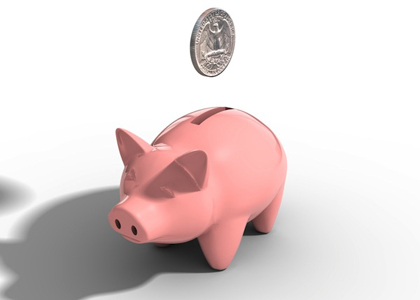 Remember in moving you will be using your money which will make your effort of saving some money even unrealistic.